Nike Free x Metcon – Great Deals Now The Nike Free X Metcon 2 is here – and that means retailers are clearing out stock of the previous model. 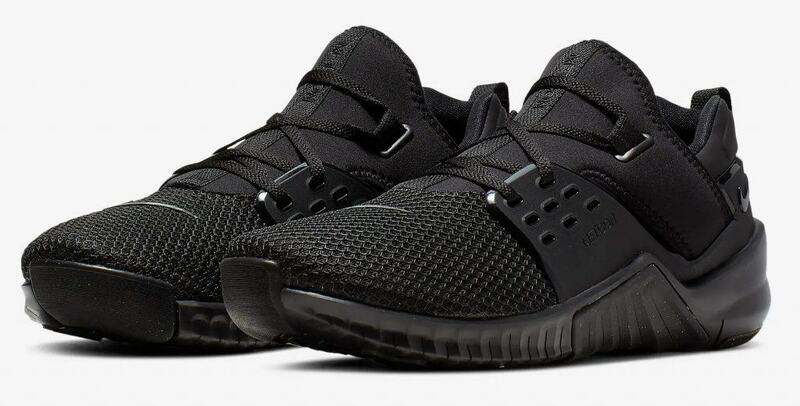 Find great deals on the Nike Free X Metcon shoe (2018) at Rogue Fitness.. Get your pair while supplies last! 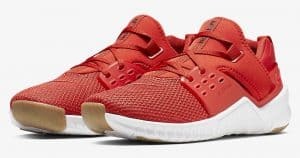 New for 2019, the Nike Free x Metcon 2 shoe combines the lightweight flexibility of the Nike Free running shoe line with the durability and stability of the Nike Metcon shoes. The Nike Free X Metcon 2 is now available from Rogue Fitness. This is the second version of the Nike Free X Metcon shoe. Read on to find out why we think this is the best CrossFit training shoe for running. 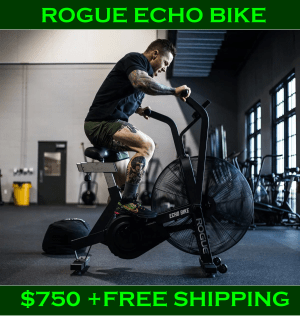 To best understand the features of this great running shoe (that also works for CrossFit WODs) we should first understand the goals of the Free running shoe line. Nike markets many shoes under the “Free” name. 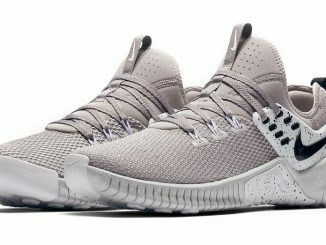 The goal with the original Nike Free shoe was to make them feel as close as possible to bare foot running. Because it has been found that bare foot running promotes a more natural foot strike and allows the runner’s foot to flex more. Over time runners will reap benefits such as more foot flexibility, better balance and improved strength. OK, so we understand now why someone would want to duplicate the feel of barefoot running. But, let’s talk about how that can be done – while wearing a shoe. 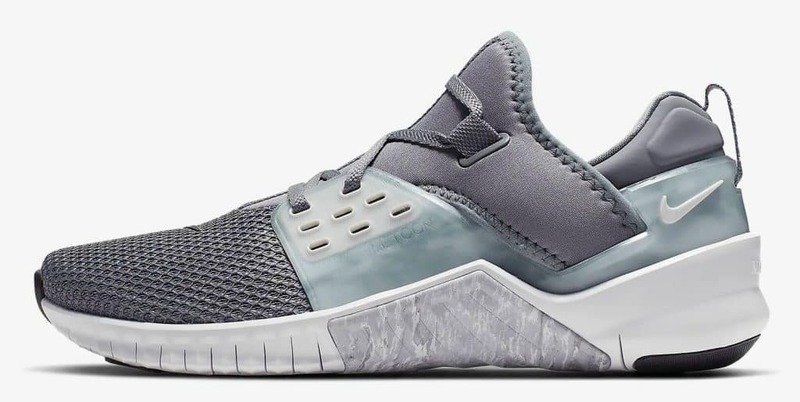 Nike Free X Metcon 2 Release Date? The Nike Free X Metcon 2 is available now – at Rogue Fitness. To make a shoe feel like barefoot running, there are a few things that must be done. 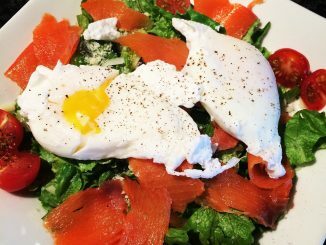 First, it has to be light. A heavy, clunky shoe can’t possibly feel like barefoot running. But also important is flexibility. An inflexible shoe can’t replicate the feel of barefoot running – it hinders the flex of your foot too much. Remember, the goal of the Free shoe is a natural running feel. So, how does the Nike Free X Metcon 2 accomplish this? First of all, it is made with advanced materials, and has a “bootie” like fit and feel. That’s how Nike makes a lightweight shoe. The flexibility of the shoe is provided by the outsole – both in the materials it is made with, but also the use of “siping”. Siping are “slices” in the sole that allow the shoe to flex with ease. You can see the siping in this side view of the shoe. You can also see the siping from the bottom view (of the “outsole” or sole). Ok, that’s how Nike has made this a great shoe for running. Now let’s talk about how they’ve made it work for the WOD. 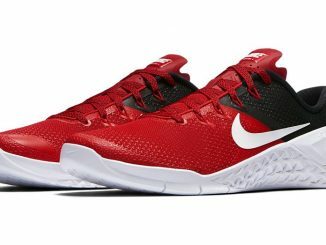 This shoe is effectively the combination of the Free running features with the stability and flexibility features of the Metcon line. Wrap-around outsole for rope climbs – nothing destroys shoes faster than a rope climb. You can see in the side view that the Nike Free X Metcon 2 has a wraparound outsole right where you’d grip the rope. 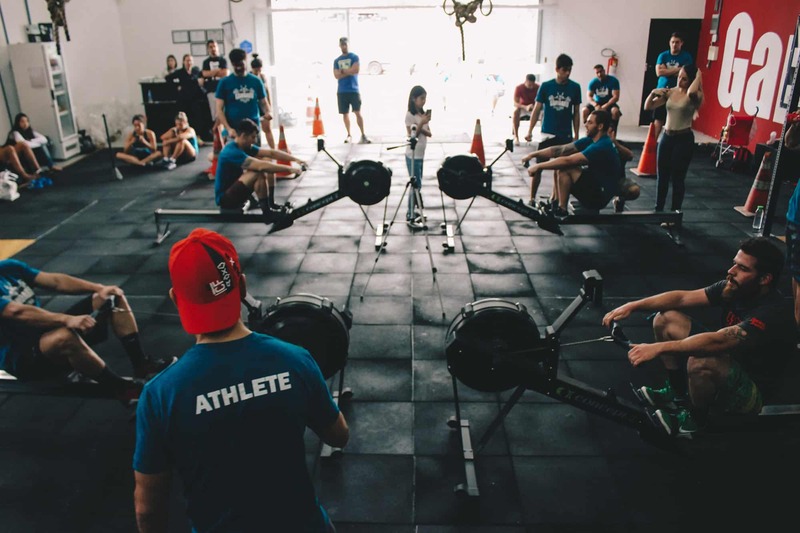 Weightlifting shoes typically use a midfoot strap – to ensure your feet are locked into the shoe – and to minimize movement. 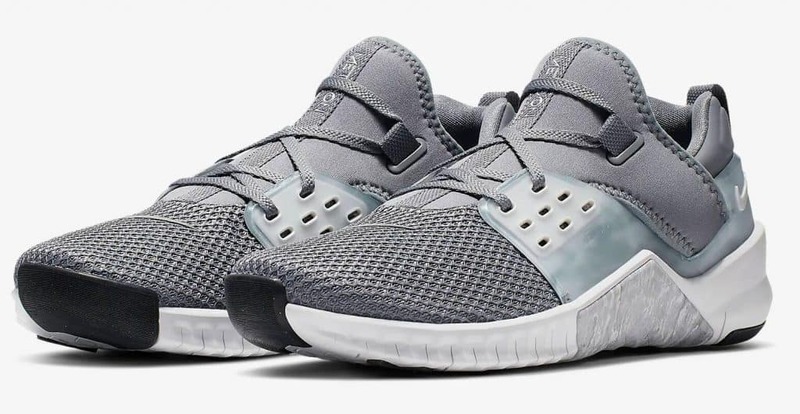 The Nike Free X Metcon 2 has a midsole strap integrated with the laces. That helps lock the shoe into your midfoot. 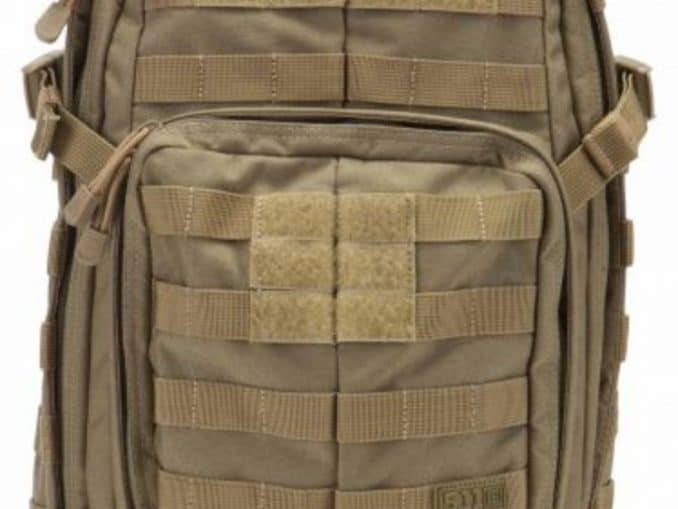 If you look closely, you’ll notice Nike has made this strap much larger and moved it forward. It now supports MORE of the midfoot and still wraps all the way around the heel as well. You’ll also notice there is no longer Flywire used in the shoe. On the previous versions these super-strong filaments helped provide midfoot stability. But in this version of the shoe, the TPU strap does that. So no need for Flywire. 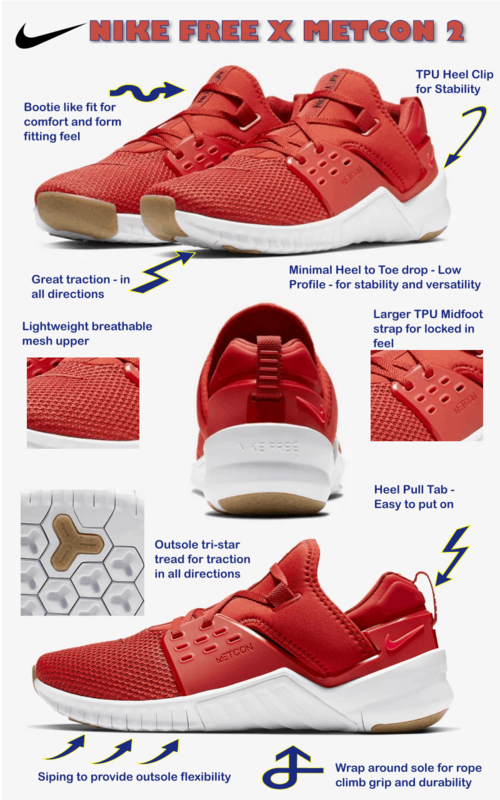 In the above photo you can see that the strap (it’s made from TPU – Thermoplastic PolyUrethane) continues around the back of the shoe to the heel. So, that strap provides locked in feel – and a firm, secure heel. Both are considered essentials for weightlifting shoes. Lastly, there is a certain level of firmness in the midsole, heel, and sole. You shouldn’t lift weights in pure running shoes – there is simply too much cushioning in the average running shoe. You can’t be stable in a pair of mushy soled shoes when you have hundreds of pounds on your back – or over your head. Performance is often about tradeoffs. How does this extra cushioning impact your ability to lift in these shoes? Based on user reviews, it seems not that much. 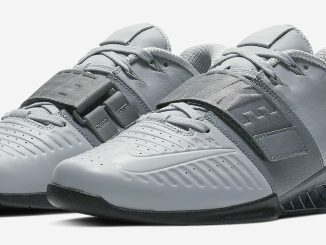 These shoes will likely be noticeably less stable in the heel and midsole when compared to the Metcon 4 XD and Flyknit 3, but you can still use them to Oly lift, squat, deadlift, and much more. 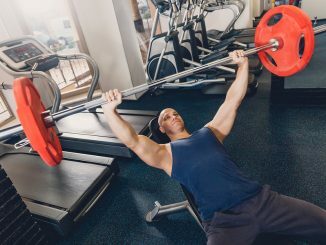 Do your workouts incorporate more weight lifting or running? 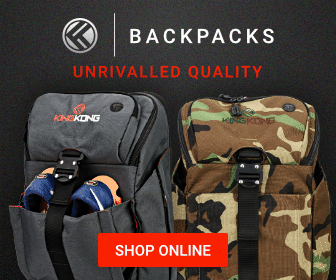 Do you want to wear them all day or for long distances? Those are the key decision criteria. For the ultimate in stability, go with the Metcon 4 XD. It is the most pure implementation of the Nike Metcon shoe features – and it is rock solid. If you run more (and therefore need more cushioning) go with the Nike Free X Metcon 2. Looking for something in between the two? The Nike Metcon Flyknit 3 is probably your best choice. But, if you see a pair you like – grab them while you can. They rarely bring back a colorway after the initial manufacturing run. Black/White is a versatile color combination. It should be easy to find this colorway throughout the year. Here’s the “in your face” choice – Mystic Red/Gum/Light Brown/Red Orbit. More subdued, yet stylish is the Cool Grey/Wolf Grey/Black/Pure Platinum. For more style, here is Nightshade/Sequoia/Bright Citron. 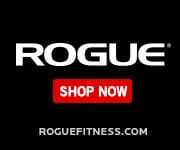 For the latest styles, be sure to check out the Rogue Fitness website. As we mentioned, most of these colorways are a limited time manufacturing run. And once your size is gone, you are out of luck. In the Nike Free x Metcon the “heel to toe drop” (meaning the difference in height between the toe and the heel) is 5mm. That’s only about .2″. This can be described as “low profile” in shoe terms. And this is great for a midfoot landing. In comparison, the Nike Metcon 4 XD has a 4 mm heel drop, the Flyknit 3 a 6mm drop. The Metcon line of shoes all have relatively small heel to toe drops. Because that is what is best for a versatile shoe. 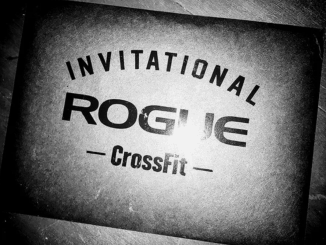 The WOD may require you to run, jump, and lift heavy – all in 15 minutes! A low profile shoe, with a minimal heel to toe drop will work best for all those things. It promotes a midfoot strike, works well for lifting weights (especially deadlifts), and makes for a great shoe for box jumps. The outsole of the shoe shows how it delivers omni-directional traction. You can also see the wrap-around sole at the center. That’s how the shoe handles those brutal rope climbs. 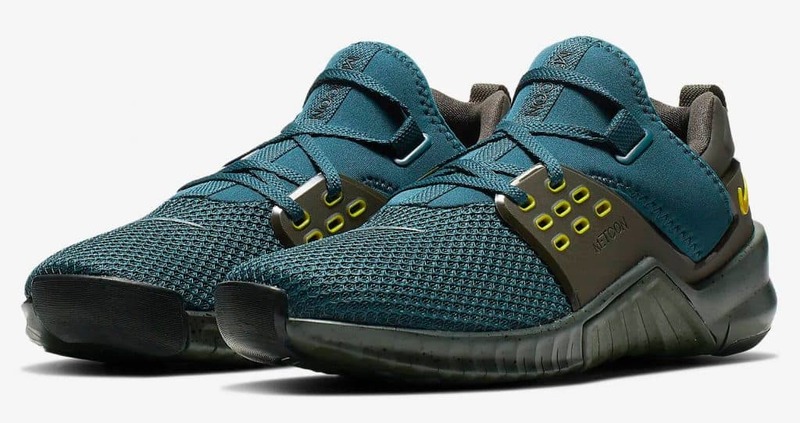 One of the big changes with this shoe is that the TPU strap extends further forward – so it supports both the midfoot and the heel. That’s why we think the Nike Free X Metcon 2 is the best running shoe to have for CrossFit WODs in 2019. With the release of the Nike Free x Metcon 2, we have the best cross training shoe yet for both running and lifting weights. Nike has taken all the great features of last year’s shoe and added even more. For all the reasons we outlined above, we believe the Nike Free x Metcon 2 is going to be the runner’s choice in cross training shoes in 2019. 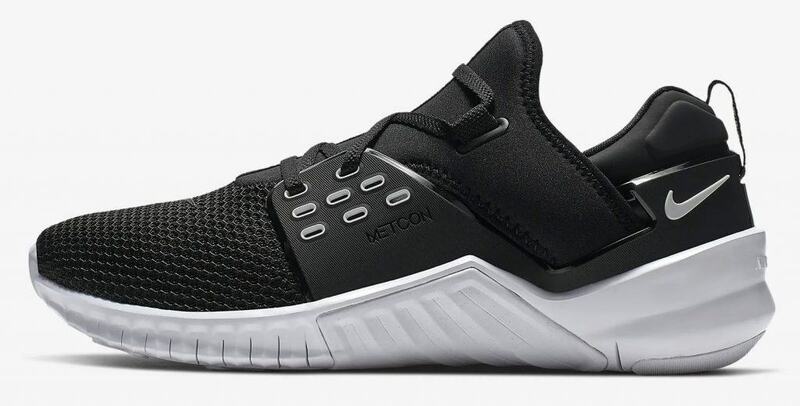 The Nike Free x Metcon 2 is the best running shoe option in the 2019 Nike Metcon line. It has more cushioning in the sole and midsole when compared to the Metcon 4 XD and Flyknit 3. 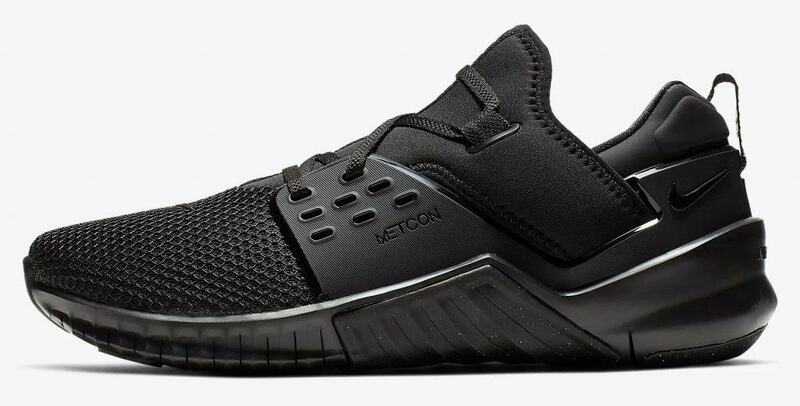 It has more flexibility in the sole than the other Metcon shoes – with siping and a flexible outsole it helps provide a natural foot strike and a barefoot running feel. Because of the extra cushioning, it’s also the most comfortable for running longer distances, walking, and all day wear. But, it will still work as a shoe for the CrossFit WOD as well. The Nike Metcon 4 XD shoe is still our top pick for lifting weights. 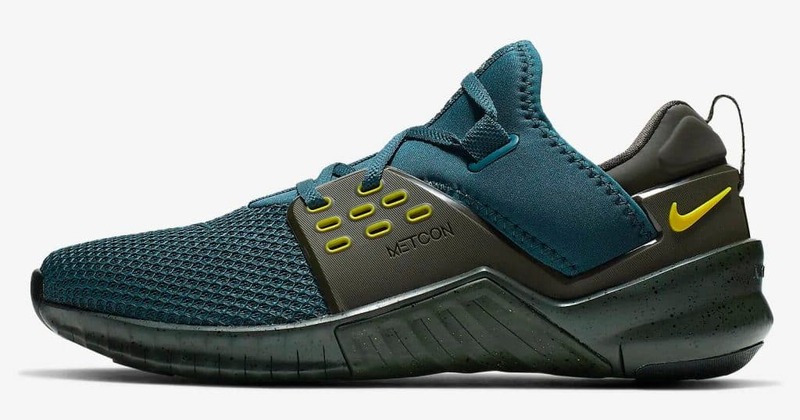 The stability provided by the firm heel and sole of that shoe is ideal for lifting heavy weights, but the Free x Metcon 2 should work fine for most people in the WOD. Nike Free Footwear Platform – A short history of the Nike Free running shoe line. Nike Free X Metcon 2 product photos are courtesy of Nike.